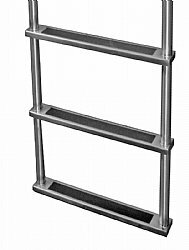 Brey-Krause 4 Step Stainless Steel Dock Ladder, Top Mount, 20" Deep Handles, 3" Wide (deep) Treads, 750 lb. Weight Capacity, .304 Stainless Steel. FREE SHIPPING! 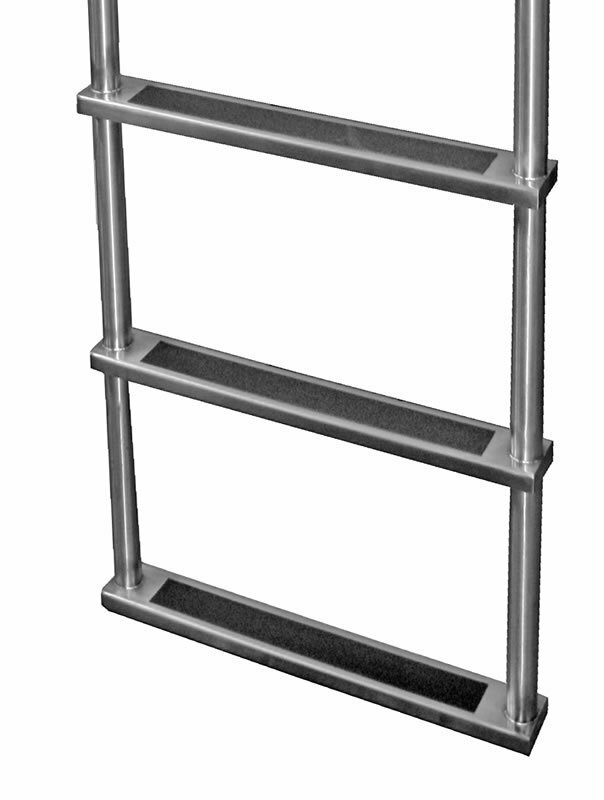 4 Step Brey-Krause Stainless Steel Dock Ladder is mounted top side using 3 bolts per handle. Featuring "hooped" style handles and comfortable 3" wide (deep) steps. These ladders are of superior craftsmanship and materials and are made right here in the USA! Constructed from 16 guage .304 stainless steel tubing. Tubing is 1 1/2" diameter. Mounts to dock using 3 countersunk holes per handle. Requires 3/8" Diameter bolts for mounting. Ladder Width (OW): 23 1/2"
Vertical Drop (from dock to end of ladder): 48"
Distance to First Step: 12"